Concerns about stereotyped repetitive movements make autism and flapping a popular subject for people dealing with pervasive developmental disorders. Just as typical people engage in habits like nail biting, tapping pens and other gestures, people on the spectrum may engage in hand flapping. In both cases, the movements may have purpose. Autistic disorders often manifest behaviorally, and among the most recognizable behaviors is stereotyped repetitive movements. Hand flapping is common, and many people immediately recognize the unusual hand gestures as a symptom of autism. While some people suggest the movements serve no purpose, others contend the self stimulatory behaviors are justified. Sensory dysfunction in autism can lead to problems processing information that comes through the senses. People with autistic disorders may have a hypoactive sensory system or a hyperactive one. Self stimulatory behavior like hand flapping works to help regulate the senses.A person with a hypoactive sensory system may not receive enough input, and behaviors like flapping can provide the input the person needs. A person with a hyperactive sensory system may engage in flapping to pull attention away from sensory overload. Some people on the spectrum refer to self stimulatory behavior as "self regulating" behavior because the repetitive movements provide relief. While many find the behaviors to be insignificant, others may want to reduce hand flapping. Strategies to lessen flapping are systematic, and they may take a while to achieve results. Autism and flapping may go hand in hand, but if the behavior is detrimental to learning or if it interferes with the person's daily life, steps can be taken to reduce the behavior. Sensory integration therapy can provide an outlet that can lessen the desire to engage in repetitive movements, and other approaches, including applied behavioral analysis (ABA) can be very effective. Redirecting the person's attention away from the behavior can offer relief. If there is too much attention on flapping, it becomes an area of focus, and perhaps, obsession. Rather than saying, "No flapping!" the person redirecting attention could say, "Show me quiet hands." 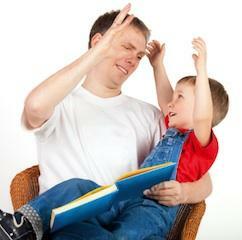 Differential reinforcement of other behaviors (DRO) involves catching the person when he or she is not flapping. The individual receives praise for desired behavior. Instead of saying, "No flapping!" the person using DRO could say, "Nice, quiet hands!" The focus in each case is on the desired behavior rather than flapping. Many people, whether on the spectrum or not, learn well from overcorrection. The strategy involves focusing on the behavior and exaggerating it. For example, each time the person flaps, the instructor says, "No flapping!" and guides the person's hands in an exaggerated flapping motion for a few seconds.Suppression of the Self-Stimulation: Three Alternative Strategies looks at differential reinforcement of other behaviors (DRO), overcorrection and time out as interventions to lessen self stimulatory behaviors. The study found that each of the four participants in the study showed quick response to overcorrection. Autism and flapping behavior are strongly connected, and it is important to recognize that the child, teen or adult may have difficulty quitting the habit. This is especially true when the person is excited or anxious. Just as a typical person paces to relieve anxiety, a person with autism may be likely to flap.